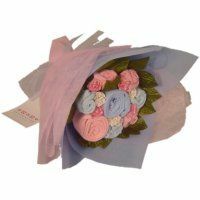 A classic collection to welcome two new arrivals, beautifully presented as a hand-tied baby grow bouquet and available in all colour schemes for twins. As featured in Mother & Baby Magazine's 3 of the best...gifts for twins! Each garment is an essential item of clothing (3-6 months) needed for every new baby. This means you will be certain that the recipient will find your gift not only beautiful but also useful. 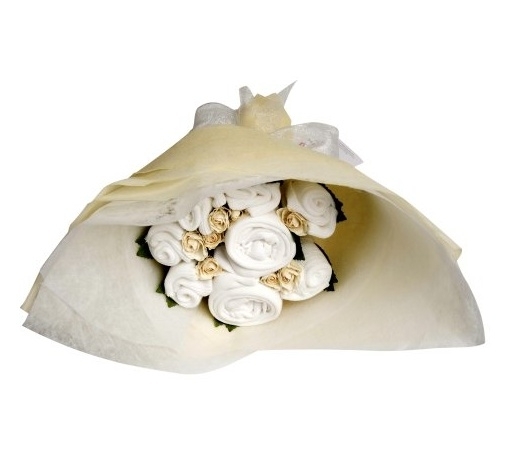 A truly beautiful and useful baby bouquet. Colours consist of: Sugar Pink for twin girls, Cornflower Blue for twin boys, Classic White for unisex twins and Candy Stripe for girl and boy twins. 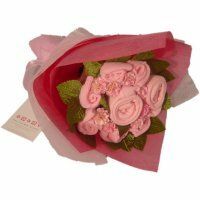 You could also send this as a baby gift for one baby as opposed to twins. *Order by 2pm Monday to Friday for same day dispatch.